It’s almost summer, and for many of us that means more than a few social get togethers coming to the party as well as a shift to chilled white wines… well it does for me at any rate! We all know that party season means more calories consumed right at the time that the layers come off too, so it’s usually up to increased summer salad consumption to keep things in check. 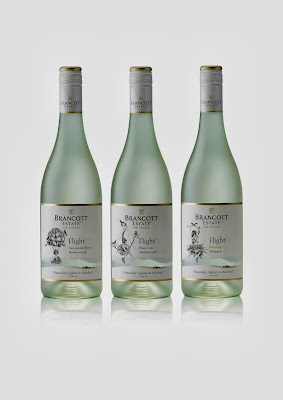 However, I just tried a beautiful and fresh new drop that is lower in alcohol without being low on taste in the form of Brancott Estate Flight Riesling. Using the same natural winemaking techniques as Brancott Estate’s Flight Sauvignon Blanc and Flight Pinot Gris (which I seriously want to try) has yielded the new Riesling, which exhibits all of the flavour profiles and complexities expected from the varietal, but with an alcohol by volume (ABV) of just 9 per cent. Of all grape varieties Riesling is reportedly one of the most suited to making a low alcohol style, reaching flavour ripeness at low sugar levels and still tasting absolutely delicious. This new release works well with Asian cuisine, including sweet and sour, spicy Thai chicken and pork, or sushi and sashimi, as well as - reportedly - guacamole, one of my summer faves. Hurrah to that! The Brancott Estate Flight trio of wines are available right now from leading liquor retailers, RRP $26.99. Try one… try them all!